We have lots of Case Studies, but none matching that search criteria. Search again? 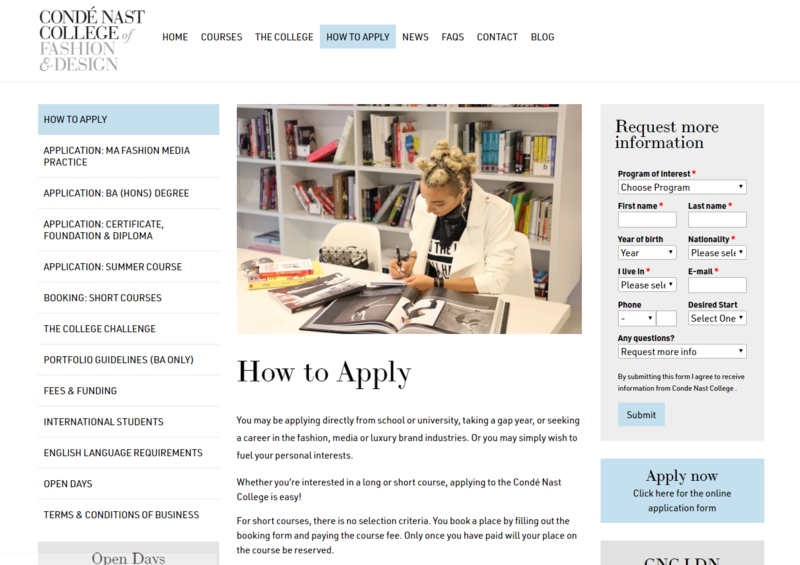 With a wide variety of courses and programmes and payments terms for each, Conde Nast College welcomes national and international students to their world renowned courses. They use HEIApply to provide an immaculate applicant journey tailored automatically to the aspirations of the the applicant, with embedded payment workflows and financial reporting we have significantly reduced the manual workload of the small admissions team. With multiple campuses based across London in the UK, South Essex College welcomes national and international students from the age of 14 plus. The Further and Higher Education College, offer a vibrant and dynamic course range. Students benefit from state-of-the-art technology across the campuses, as well as the College’s links with local councils and communities. Based in Muscat, Oman, the PDO School is open to 3-11 year old children of expatriate parents working for the Petroleum Development Oman (PDO) and Shell. Throughout the year, Shell staff migrate from all over the world to work on the oil fields. Before moving they need to apply and secure a places for their children at the newly purpose built PDO School just on the outskirts of Oman. Like many other schools, the PDO School admissions process was based on a custom workflow that addressed their unique circumstances. You are a parent, about to embark on a relocation for work and you’ve been recommended PDO School. 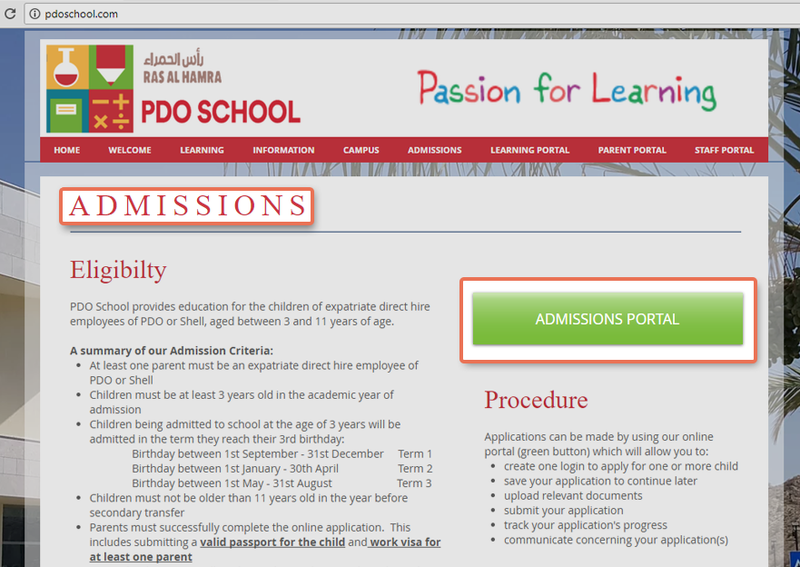 You can register, create profiles for each of your children, upload documents, submit your application form, correspond with school staff, receive and accept an offer, pay a deposit, arrange to pay Course Fees, complete pre-enrolment tasks and forms… all within PDO School’s seamless Applicant Portal powered by HEIApply. The team running the programme had not previously administrated an application process before. They needed a system, and expertise to implement the system. Inviting applicants aged 20-35 of Christian faith for residential and non-residential participation from anywhere in the world, the Community of St Anselm needed a registration system to capture, review and manage applications. Ravensbourne houses a community of approximately 2,400 students and over 100 creative technology businesses, emphasising creativity and collaboration. As per the traditional method of Institutions, Ravensbourne relied on UCAS for home based applications. Juggling between pen, paper, printers and spreadsheets; managing International admissions was quite a different story. Following the retirement announcement of Adobe FormsCentral early in 2015, like many other organisations, Aston was forced to source a solution to replace it. Aston’s Pre-Confirmation of Acceptance (Pre-CAS) online questionnaire was previously powered by the popular Adobe powered form builder.